Brijesh Masrani is not just your everyday android nerd, sporting a MacBook, donning thick-rimmed glasses and well kept extended goatee. 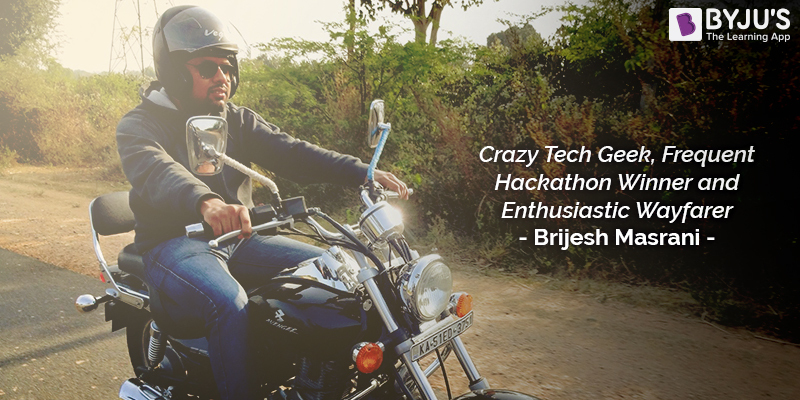 He takes the love of android to the next level having won several hackathons (part of the team BROids) hosted by several corporate giants. With dreams of becoming Android GDE (Google Developer Expert) someday, Brijesh shared an hour with Team StoryWeavers talking about how his life took the turn of a lifetime taking him from his hometown, Navsari, Gujarat to Bangalore, making him the first member in his family to step out of the city as an engineer. Q1. Why do you refer to your shift from Navsari to Bangalore as the shift of a lifetime? Till my 12th grade, I was a true blue “mama’s boy”, my sole love being studying and computers; the world outside stayed unperceived by me. I moved out to join my college in 2006, which made me the first person in our family to move out of the city and take up engineering, most of them being involved with business. I had tried my hand at handling chores in our stores, but life behind the counter was never exciting or challenging enough for me. So I found my calling in computer science. After college I worked in Gujrat for a year then moved on to join Toshiba in Bangalore. I still remember how food and language were a big issue in the beginning. Moving out was scary enough, but at a time when Hindi was the only language I was proficient in, I moved considerably out of my comfort space, and believe me, it was completely worth it. The life and energy that the city exudes is infectious enough to keep me rooted here; though I still respect the ties that attach me to my hometown and family. Q2. 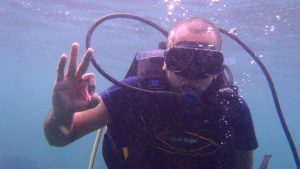 From a bashful computer geek to a Senior Android developer at BYJU’S, how has the journey panned out? The journey has taken me through a rollercoaster of emotions from stirring hackathons to testing interviews. My life’s biggest and most exacting experience was the first Hackathon I ever took part in. Organized by Housing.com in the early years of its initiation, my friends and I gave it our absolute best. We even had a friend fly in from Gujarat just for the event. We were given a problem and 24 hours to come up with a solution for it in the form of an application. Those 24 hours pushed us to our limits as we stayed awake into the forenoon experimenting with the different features and tenable solutions. 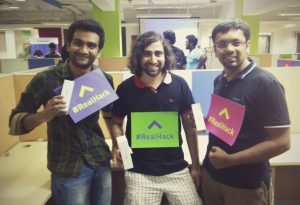 We emerged as the winners of that hackathon, an achievement that paved the pathway for a better understanding of the android world and the prospects hidden within the field. Through another hackathon held by Sequoia Capital, I was put in touch with one of the tech officers at BYJU’S. After joining BYJU’S, I was given the freedom to experiment with all possible technologies that have been added in the android development sector. The journey here has been exhilarating, and I have had the chance to learn and better myself in a lot of ways. Q3. 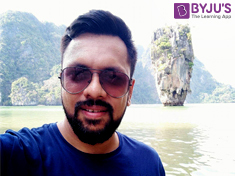 How did BYJU’S become a part of your journey with android? 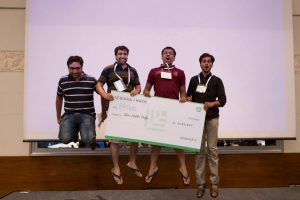 A hackathon hosted by Sequoia capital was my gateway to BYJU’S. 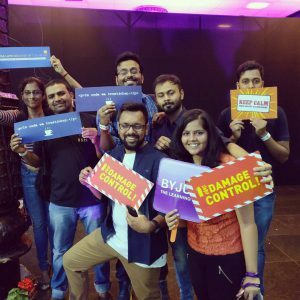 Like the numerous other hackathons we had taken part in, this one too required us to come up with an application based solution for the issue of women’s safety. The app we fabricated was based on tracking – where the user could send distress signals to select contacts. Along with that we added in a code which helped detect unusual movement of the phone which, if persisted over 30 seconds would trigger an alarm. If started accidently, the user could disable it, barring which the phone sends a distress signal along with the location of the user after 30 seconds. Our success at the hackathon brought us into the radar and notice of Ranjit Radhakrishnan, Chief Product Officer at BYJU’S who contacted us regarding growing opportunities in the company and that is how I landed here. Q4. What do you think makes you a tech geek? I live apps. Any new update or a new app, I spend whatever time I have downloading and exploring it. I often find bugs in the apps and repost them to the respective companies as well. In case of any software issues in my phone, I fix it myself 🙂 I have had multiple roommates- about 15 of them, having lived in the same house ever since I moved to Bangalore. We live like the stereotypical bachelors working hard during the day time, and pursuing our passions during the night. And of course adding a scintilla of travelling over the weekends. I am obsessed with TV shows. Name it and I would have watched it. Friends, Game of Thrones, White Collar, House of Cards and the likes- I dedicate about 2-3 hours every night watching a few episodes. The only realm where I break the stereotype is GAMING. I don’t game at all. Though I have many friends who spend hours on their consoles. I wish I had started at a younger age. Now the games have advanced so much that the easiest of PlayStation and X-Box games seem indomitable. Q5. An Android geek, developer, blogger and TV show nerd – How does BYJU’S help you balance all these facets? It’s never been much of a challenge. I am able to work with a team that is as passionate about its work as I am so we manage our work well within our deadlines. The blogging and binge watching TV shows come in only once the work gets done. At the office we have dedicated days to particular projects and all the work happens within the stipulated time. We have several team outings and game sessions within the team when we want to take a break from work so the workload never seems overpowering. Q6. Any particular field of interest that you would like to venture into apart from android? I wish to start contributing to the community around me through blogs, speeches and articles. Currently I blog on topics related to Android on Medium.com. I am also an active member of the Bangalore Android User Group (B.A.U.G) which currently has over 6000 members on Facebook. Through this group I was given the platform of taking up public speaking, which has been my nemesis since childhood. So I believe if you are good at something, you can often do it for free, unlike the motto the Joker carries with him. Q7. Where do you see yourself 10 years down the line? I want to publish couple of apps for the ideas which I have been evaluating for sometime. At BYJU’S I have gotten the chance to understand the whole app ecosystem which will help me in building those ideas into a product. The main purpose behind the application however will be to benefit people in some way or the other, whether it is to ease transportation, or increase women’s safety in the city, the point of development in any field is lost if it does not ameliorate people’s life in some way. I want to continue being the go-to person for people around me for tech advice and smidgens of tech developments and hopefully learn a bit more in the realm of gaming. Like this story? Read similar stories on BYJU’S Blog page. Follow @byjusstories on Facebook.